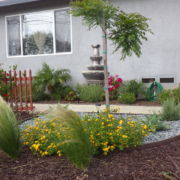 JR & Janine started transforming their landscape from a water hungry lawn into a water efficient showcase in 2016. 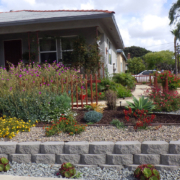 Their “do-it-yourself” landscape makeover involved plant selection from a local nursey, block and paver installation, and a back-hoe rental for excavation. 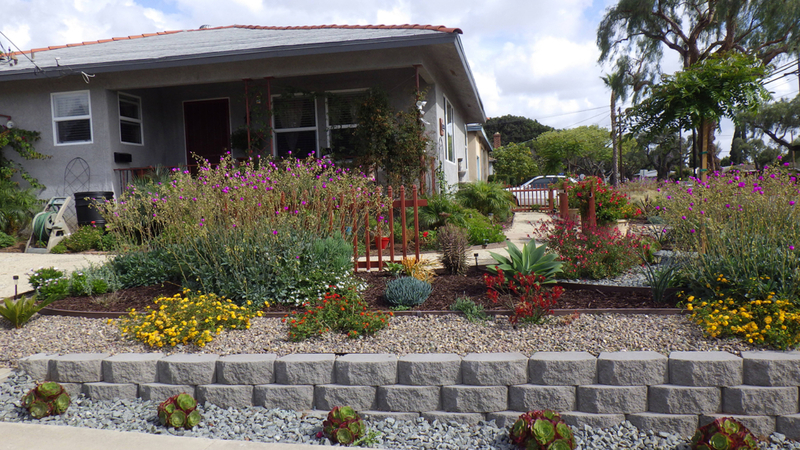 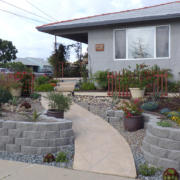 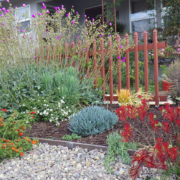 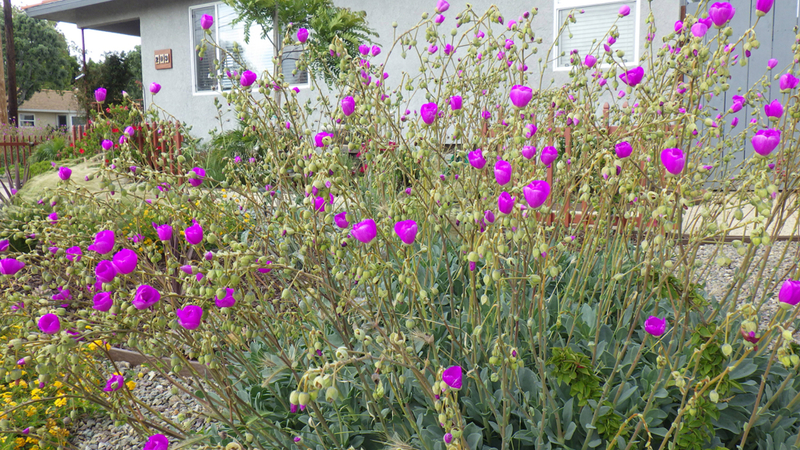 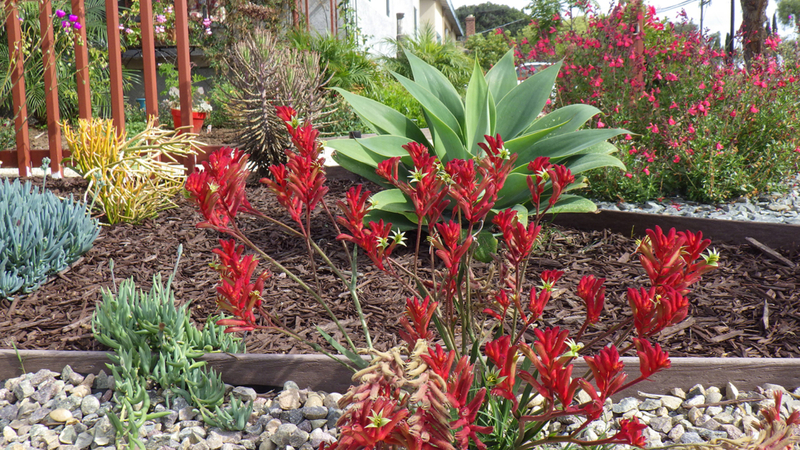 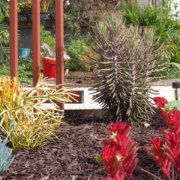 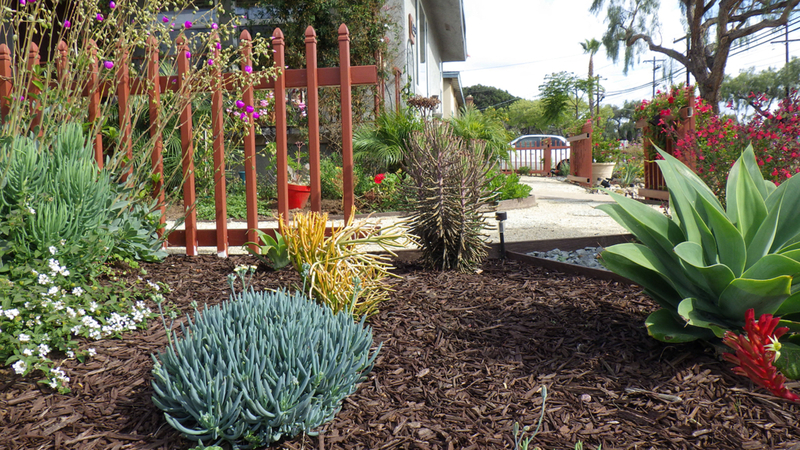 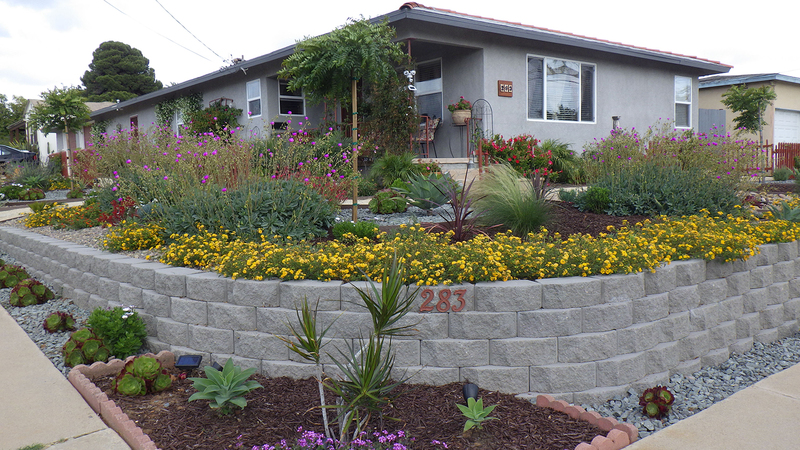 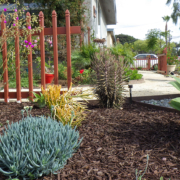 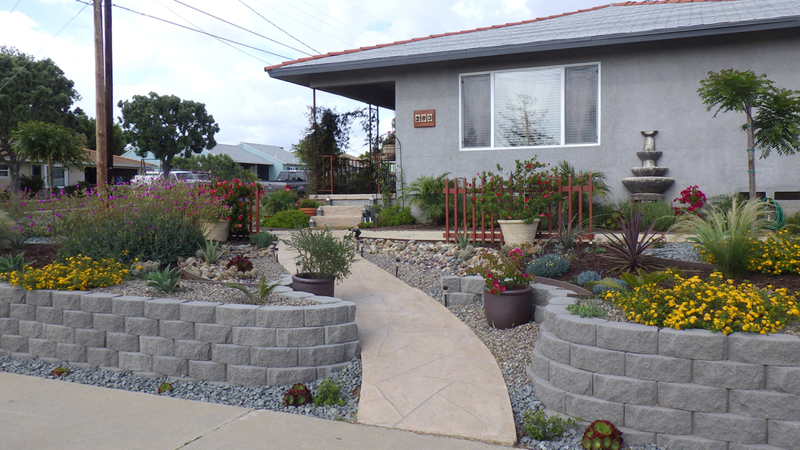 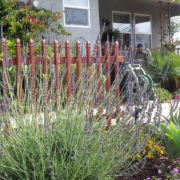 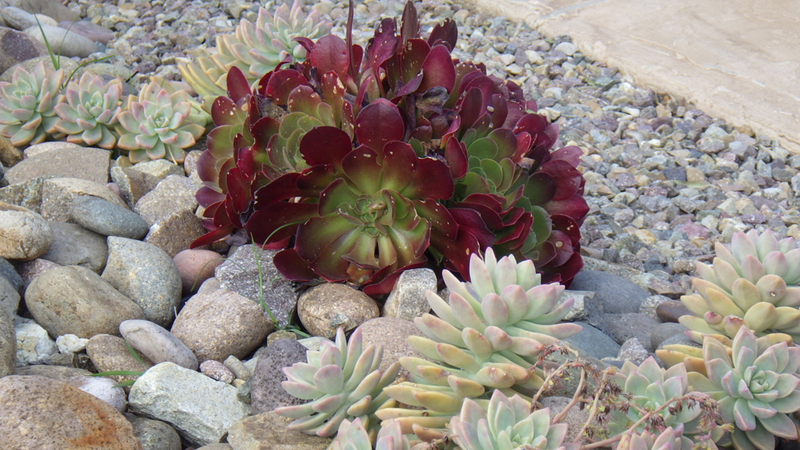 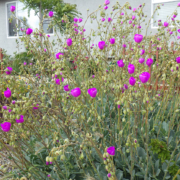 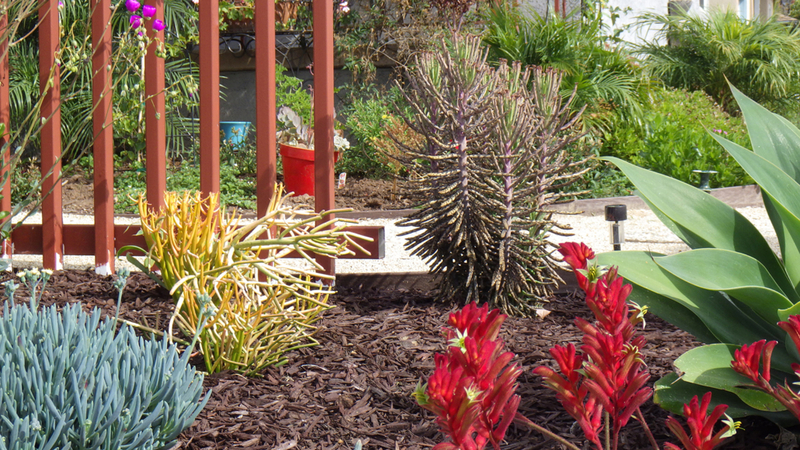 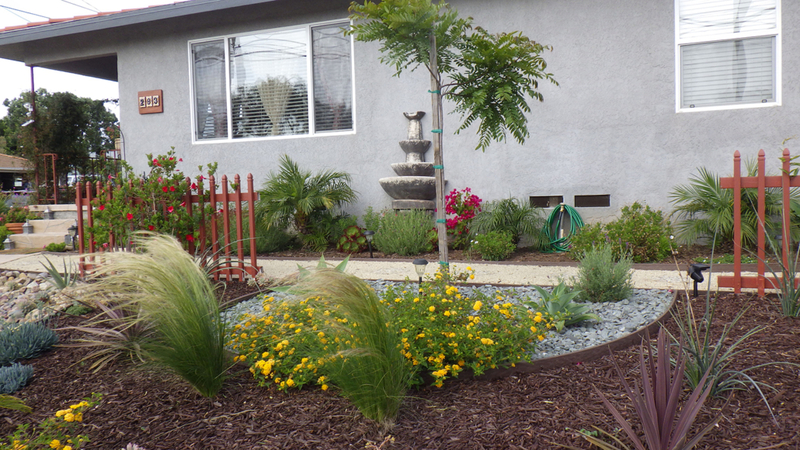 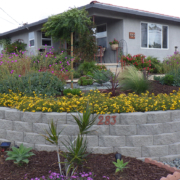 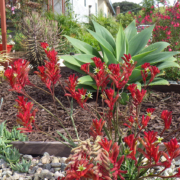 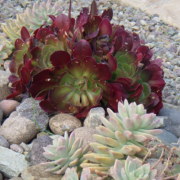 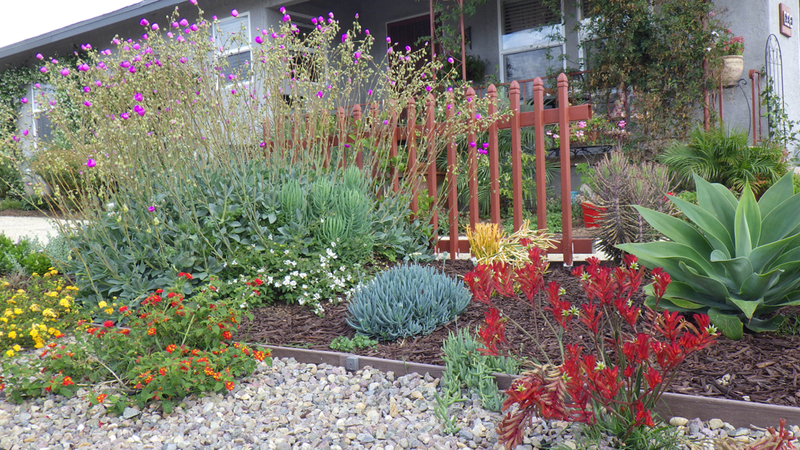 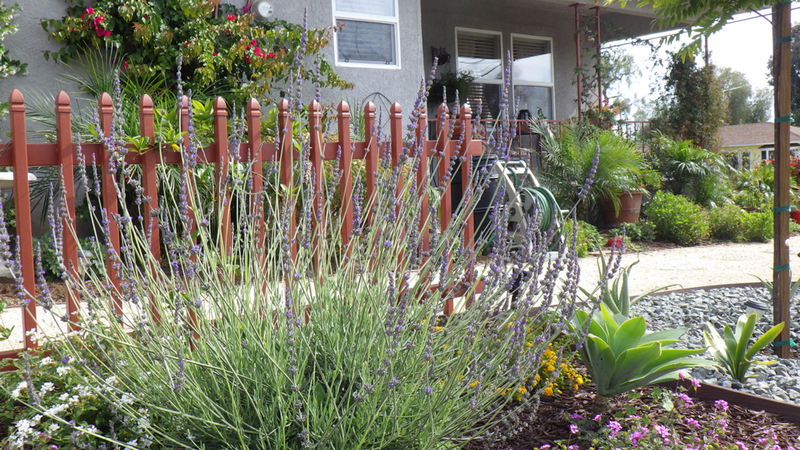 Their yard is now a showcase for a variety of colorful drought tolerant trees and plants.